It's been a few years since we first met Mr Chicken — that enormously oversized bird complete with tiny top hat — in the multi-award-winning Mr Chicken Goes to Paris. But now he's back … and it's been worth the wait! 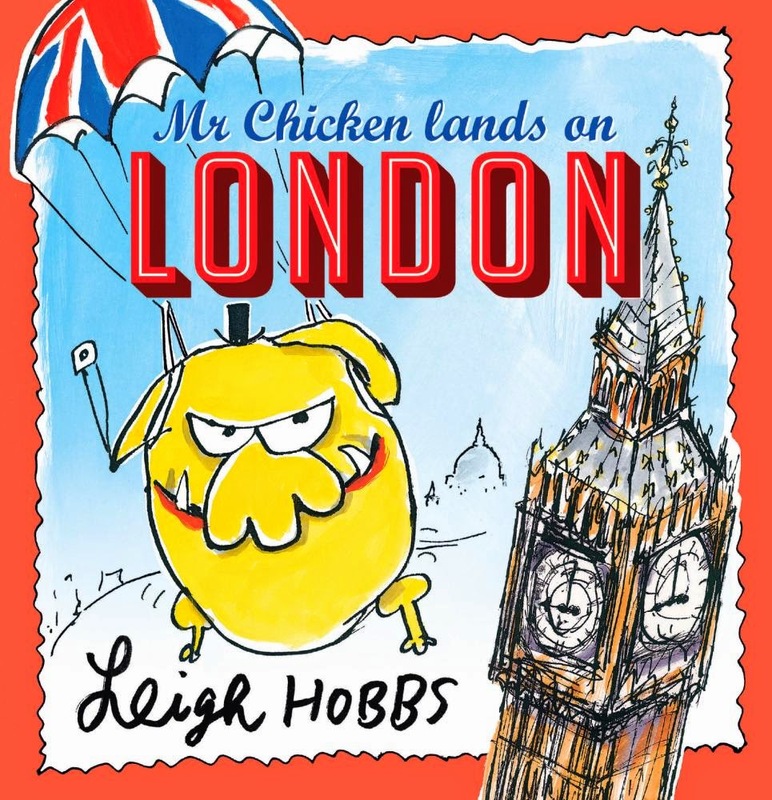 London is Mr Chicken's favourite city in the whole world and he can't wait to see all the sights. He's a chicken with style, so naturally he stays at the Savoy. After a full English breakfast, first stop is Buckingham Palace — time to visit his special friend, the Queen. Then it's on to St James's Park, St Paul's Cathedral, the Tower of London, a quick trip on the Underground followed by Trafalgar Square, the National Gallery, the London Eye, Piccadilly Circus and finally back to the Savoy to freshen up before a night at the opera and a very special visit to Big Ben. Mr Chicken can certainly keep up a hectic pace! This is the most spectacularly fun way to introduce any child to one of the world's great cities, and the wry humour running through the illustrations only adds to the delight — Mr Chicken trying to 'blend in' at a bus stop actually made me snort with laughter. It's not surprising that tourists would rather take pictures of him than the sights they'd originally come to see. Every page of the book is a visual treat and the endpapers haven't been forgotten either. On the front endpapers is a tourist's map of London, while the rear endpapers include more classic Mr Chicken shots as well as his London Checklist and some correspondence between him and the Queen. I hope Mr Chicken's travelling days aren't over as I'd love to see what he could get up to in New York!